A 10 yard spool of wired 1.5″ diamond plaid harlequin ribbon. 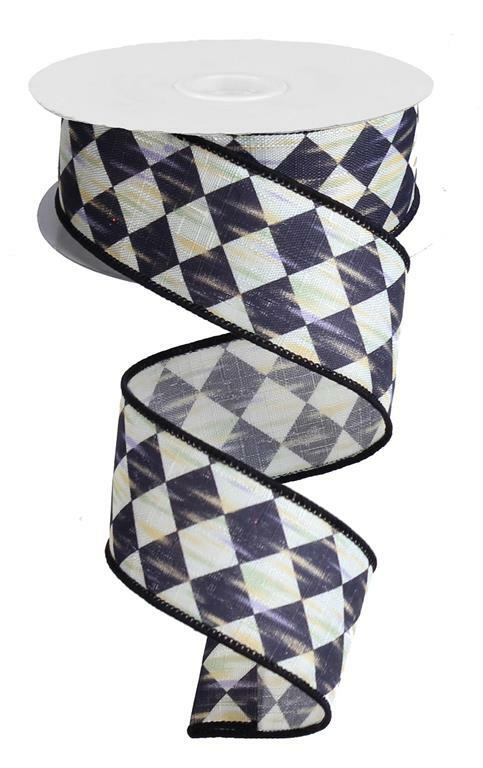 The black and cream pattern is “antiqued” with streaks of purple, yellow and green, giving it a softened, aged look. 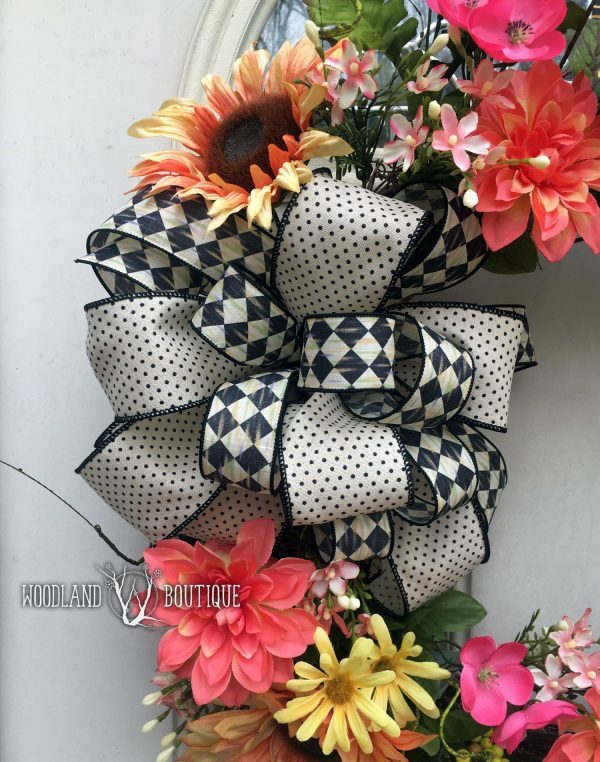 Its a sophisticated neutral that really pops off your project, and the wired edges mean your bows will hold their shape beautifully. This ribbon holds it’s shape incredibly well, but not in a stiff and crunchy way. 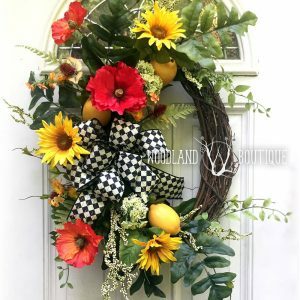 It will become a staple in your floral toolbox. 10 yard roll by 1.5″ width.